This week in a rather strange combination of movie genres, we watched Waking Ned Devine (1998) and The Good, The Bad, and The Ugly (1966). Chris commented that he watched WND with his parents when it was first released. He reported that as a sixteen-year-old, he didn’t much care for the movie but his parents loved it. This time around we both thought it was hilarious. So moral of the story: we’re now old enough to appreciate dry adult humor. Win? As for GBU, it’s gorgeous, long, and sloooow. 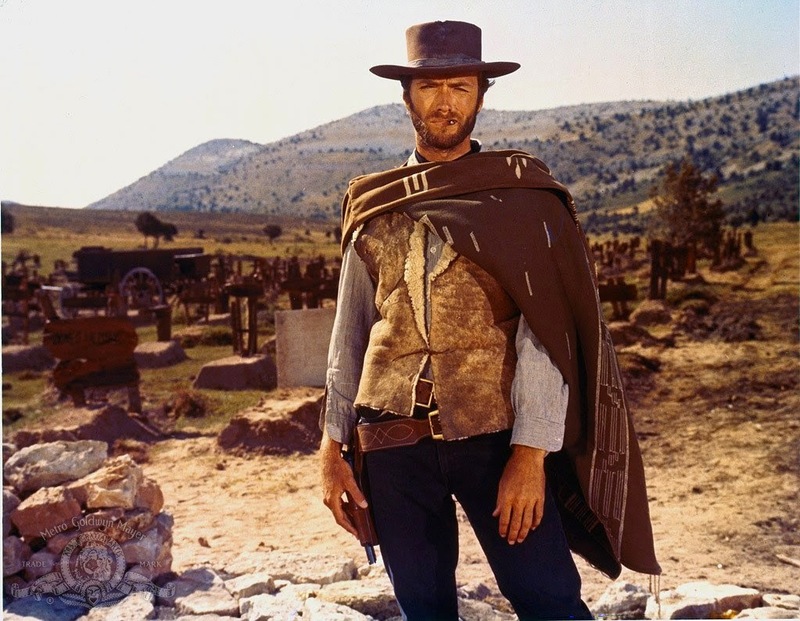 I’m convinced that Clint Eastwood’s only role is to stand around and look beautiful. He doesn’t really say much, just gallops across the desert and shoots bad guys. Randomly, I think he looks like a cross between David Beckham and Hugh Jackman. Or I suppose it’s the other way around, given that his heartthrob career predates them by forty years. I was gushing over the amazing scenery in the movie (long desert vistas!, beautiful cacti!, old western towns!, etc) since we’re going to take a trip down to SW...until I realized it was filmed almost exclusively in SPAIN. Fail. Anything you’ve seen lately that we should add to our movie list? Any oldies but goodies? Have a great weekend. We’re spending time with family, finishing up some trim work, and enjoying these last few days of gorgeous weather.